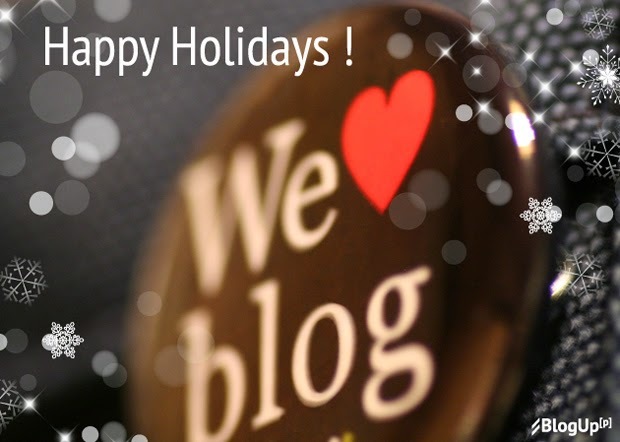 BlogUpp blog » Content distribution and blog promotion updates: Blog Rewards & Holiday Greetings! Blog Rewards & Holiday Greetings! This holiday season we'd like to award the blogger community, besides wishing everyone Happy Holidays and an excellent New Year! Most of you will certainly post beautiful holiday greetings in your blogs and we'd love to help deliver them with a giveaway. You'll get bonus content distribution as follows: you get 2015 content discoveries multiplied by the number of seasons your blog has been continuously active within our blogger community. Meaning that if your blog has been active with us for less than three months (a season) - the multiplier is 1, if it's between three and six month - the multiplier is 2, etc. For instance, if your blog has been with us for about 7 years, then you'll get over 56,000 bonus content discoveries, i.e. 2015 x 28. Whereas if you did submit your blog just recently, you'll get 2015. Getting those bonus content discoveries is very easy. Simply tweet @BlogUpp with greetings for the blogger community on this holiday season or email Hi @BlogUpp dot com - obviously mentioning your blog. Once you do so, we'll review your history and assign the appropriate bonus right away. Please note that blog submissions for this giveaway are accepted up to 8th of January 2015. Once again - Happy Holidays to You and your loved ones!